Electric Garage is excited to deliver an incredible selection of classic and collectible cars up for auction on March 17th to 19th, live from Red Deer, Alberta. Their annual event continues to deliver incredible cars to auction and industry leading sell-through. This year, they are excited to have special guests Dan and Laura Dotson from the highly popular reality program, Storage Wars. In addition, they have the always entertaining Brett “Big Schwag” Wagner, of Sons of Anarchy fame, getting the crowd at the event and online all fired up and ready to bid. There will be over 200 cars up for auction over three days. Catalogs will be posted each day as cars drive into the event center. There is a full audio and video feed available for all online bidders. Friday night the auction begins at 6:30 PM Mountain Time, and there will be over 50 fantastic cars up for grabs on the auction block. Cars that are still available will be moved into the Saturday auction. Highlighted are a 1982 Chevrolet Camaro Indy 500 Pace Car, an absolutely stunning 2012 Ford Mustang Boss 302 Coupe up for bidding, and an incredible 1958 Rolls Royce Silver Cloud II that is available. In addition there is a very cool 2016 Harley Davidson Road Glide Custom Bagger driving through that is sure to get a lot of attention. All vehicles have photos and complete descriptions in the online catalog. The Friday catalog will be uploaded during the afternoon for full browsing and absentee bidding. The Saturday auction will be filled with amazing buys throughout the day with first bidding starting at 10:30 AM. There are several scheduled highlight cars ready to go at specific times of the day. 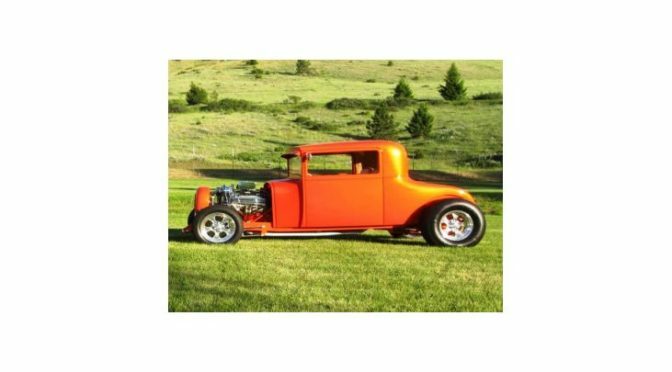 The first feature drives through at 12:30 PM and is a 1927 Dodge Brothers 3 Window Coupe in Metallic Orange. At 1PM the Electric Garage will be selling a beautiful 1970 Chevrolet Chevelle SS that is red with black stripes with a V8 engine. 30 minutes later, a 2006 Sanderson Custom Tribute Mustang pulls through the event center and is a true eye popping car. At 2 PM the great list of feature cars resumes with a 1957 Chevrolet Bel Air 2 Door Hard Top that is orange. It is an amazing build and must be seen. A 1967 Pontiac Firebird Sprint in orange is ready for bidding at 2:30, and up at 3PM is a highly collectible 1956 Ford Thunderbird 2 Door Convertible Hard Top in beautiful black. 3:30 PM highlights a one of a kind 1933 Ford Roadster with V8 Automatic and is a stunning red. The features wrap up at 4 PM with a 1969 Chevrolet Camaro Convertible in Orange with a V8 Engine. Over 100 cars will be auctioned off before, during and after the feature times. All cars will be online for viewing before the auction with full updates by Saturday morning. Sunday is a fun day moving out the remaining cars. Unsold vehicles from Saturday will be added to the day and bidders can work with sellers to finish the deals. There is plenty of preview time in the morning and the auction begins at Noon.